Blood, muscles, lungs, and brain all contain water. You need water to regulate body temperature and to provide the means for nutrients to travel to your organs and tissues. It also helps transport oxygen to your cells, removes waste, and protects your joints and organs. Taking in too litter water or losing too much water leads to dehydration. 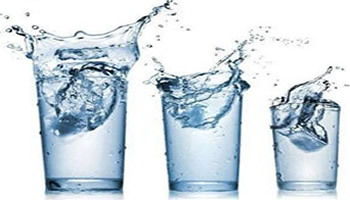 Symptoms of mild dehydration include thirst, pains in joints and muscles, lower back pain, headaches and constipation. 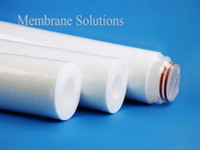 Water Value filter housings and cartridges are used for removing sediment from your well water and the carbon cartridges can remove chlorine and sodium. 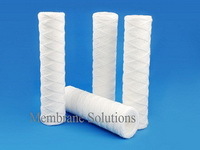 There are even cartridges to soften your water with ionac resins. These housings do not come with filter cartridges. You will need to specify which type of cartridge you would like to have shipped with your housing. Water Value has filter housings available in either reinforced polypropylene or clear Styrene-Acrylonitrile in 10" and 20" lengths. The black or blue reinforced polypropylene housing caps are available with 3/8" NPT connections. Four bosses are molded into every cap for mounting purposes. 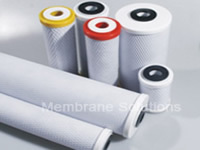 Membrane Solutions’ filter cartridges offer solutions to a wide range of water quality concerns, including sediment, bad taste & odor, chlorine taste & odor, and well water applications. Some also reduce lead, cysts, and VOCs (volatile organic compounds) which are hazardous to health.